Here I was in KL branch of the Church on Sunday morning and afternoon viewing the recent General Conference recordings with the members. At about just after 11am in the morning, Shuan sent me a facebook message to inform me he had just received his Mission Call letter and would plan to open it with the family on our usual Google Hangout at 10pm in the night time! Wow the moment had come which brought back memories to the time when we did this with his older brother Han when Mom was alive with us in March of 2012 as shared in this journal post. So he is called to serve in the England London Mission for 2 years reporting on Wed July 6, 2016! This is close to Han's mission in Manchester England but his was a Chinese speaking mission and Shuan's would be purely an English speaking mission. How exciting for Shuan who being a Malaysian PR in Singapore had to serve for 2 years first in the Singapore Army after which he had to wait for the process to become a Singapore citizen to avoid waiting for another 3 years to fulfill his work bond in the country required for PRs who enjoyed subsidized education in Singapore but is exempted once they become a citizen. The long wait is finally over and Dad the historian and journalist for the family will soon be kept busy to transfer his mission letters online as done for Han here. 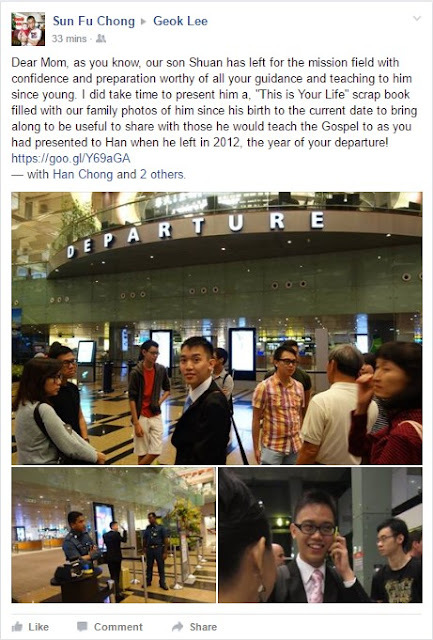 From April 2016 till 6th July, there is sufficient time for Shuan to prepare himself and the following are post dated events to say good bye to him running up to the time when we say the final goodbye to him before he catches his plane to London from Changi Airport Singapore. He flew to the US for another big familylane reunion 2016 since the last in 2014 and the one before that was in 2011. Here he is seen after getting his endowments on 11 June 2016 at the Provo Center Temple in Utah with 3 other family members who are all returned missionaries who served in other missions for the Church in the past. 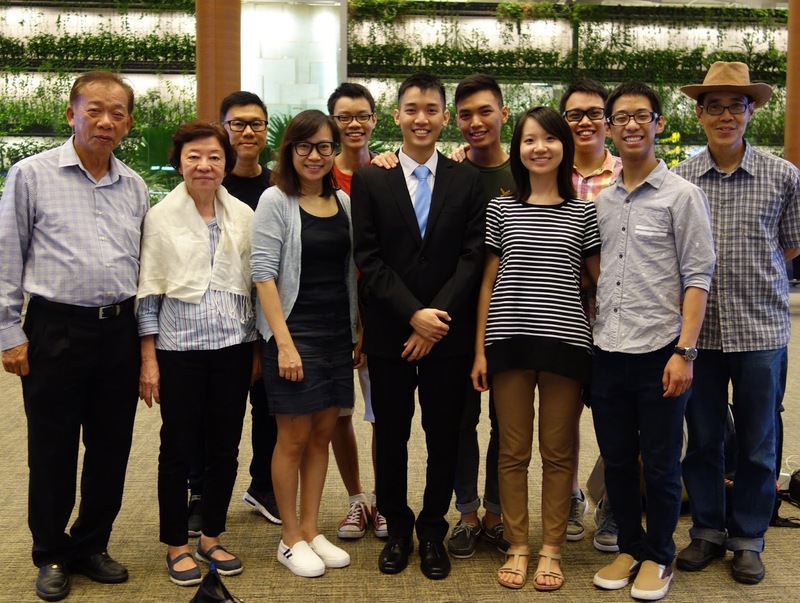 He went through the temple endowment session for the first time with his cousin Ying Er who is getting married to Justin Liu in the Salt Lake Temple on 16 June 2016! Justin with Ying Er and her parents. Play time together in the water! He gets to share the dingy float with his sister Su who had her first baby Leah in January this year. ... like going down the tubes with another brother Ern who is trained in the Singapore army too! ... as well as to have the chance to carry her! Need more practice you think? So did his niece too as seen in the above photo. In fact everyone else who came from Singapore for the great familylane activites did also! We had to squeeze in time, amidst all the activities going on, to celebrate the 2 June babies of the family, Ern no 5 in the family turning 21 and while Fei the oldest child turns 32! Shuan played an important role in this trip by coordinating schedules while in Singapore with Su who was in the US, something he may have mastered while serving in the Singapore army in the position of the officer in charge of a platoon of trainees on Tekung Island to get basic military training. Here is a photo on the morning of the wedding on June 16, when the 'groom comes for the bride' where he was checking the time schedule with Su. During the wedding, he got to meet his other American cousin, Juliana, who played the role of bridesmaid again since the last wedding in Utah for Su in 2011. During the wedding, Shuan got to meet other Singaporean friends of the family who are going to school in Utah. A 'Selfie' shot is seen in progress above. After the wedding when Ying Er and Justin are on their honeymoon, Shuan went with Uncle Yen Wei and Aunty Chai Yan with Justin's father Chuck Liu to visit Nauvoo, a place of history for the Mormon pioneers. Shuan stayed on a bit longer with Uncle Yen Wei and Aunty Chai Yen while other family members were heading back to their homes in US and Singapore to visit these National Parks south of Orem Utah, going as far south as Las Vegas in Nevada. The Clementi Ward in Singapore Ward Singapore had a special linger-longer session after Church on Sunday as a farewell for Shuan flying off in a couple of days time to the UK to start his mission. A few words shared in a post in Mom's ongoing facebook timeline with a screen shot below. Those who are friends of Mom in facebook can view the original post here. Shuan was given a book of his Life made of our family photos of him since birth to the time of him leaving for the mission field that he could use as a warm introduction of himself to those whom he would be teaching the Gospel. Reference was made to the time his Mom had also given one to Shuan's older brother Han when he had left for his mission field. The photo above on the bottom right where Mom is holding the first of such a custom-made booklet given out to her son can be better viewed in this journal post. The link to read the letters and photos emailed home weekly by Elder Chong Woon Shuan can be found later at the bottom of this post. Ok here it is... click here to read the emails that he sends each week. On your birthday today, I am in our KL apartment where I have been busy since the start of the Lunar New year of the Monkey to pre-launch our new Talklane media. 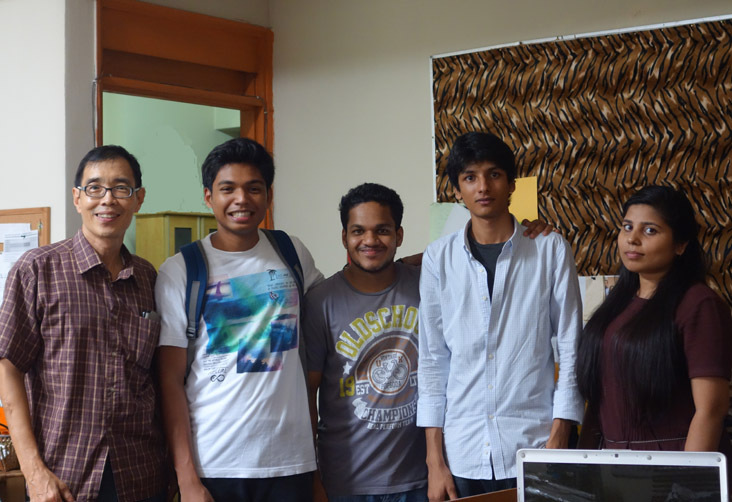 In the pic above that I took with some of our support team members, you can see the notice board in the background with your tiger marks created by you for me many moons ago using your interior design talents. There are a few co-incidental events that happened in this apartment that relates to what happened on your birthday 2 years ago in 2014 when I was in Kuantan recorded in this post. It was first feeling your presence in the Kuantan room I was in during the time I was deep into solving the missing MH370 mystery that had occurred earlier on 8 March 2014. Later when I got back to the KL apartment, an insect experience occurred which was shared in the same post. Well two years later last month, around the same week of the disappearance of MH370, I had another insect experience in the KL apartment as recorded fully in this latest post with videos. Have you been part of these afterlife signs?? 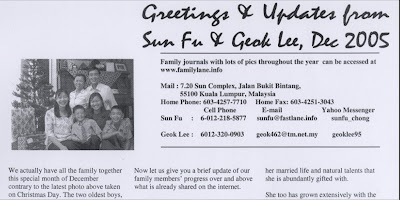 In my letter to you last year on your birthday, it mentioned about the passing of Lee Kuan Yew. Later in the year I made a historic trip to China where I found my ancestral village as shared in this spiritual journal. In this trip, I got immersed into the history and culture of China like never before probably due to my extensive research in past years, with your help as recognized in this video, before making this unforgettable trip. 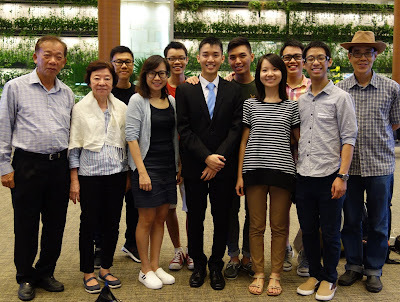 I made this video early in March when I was in Singapore to be at Ern's graduation shared in this journal post. The boys are doing well and we did our Chinese New Year closing ceremony as in past years shared in this post. The girls are fine too and of course we became grand parents with Su's first baby girl who carries your name! !